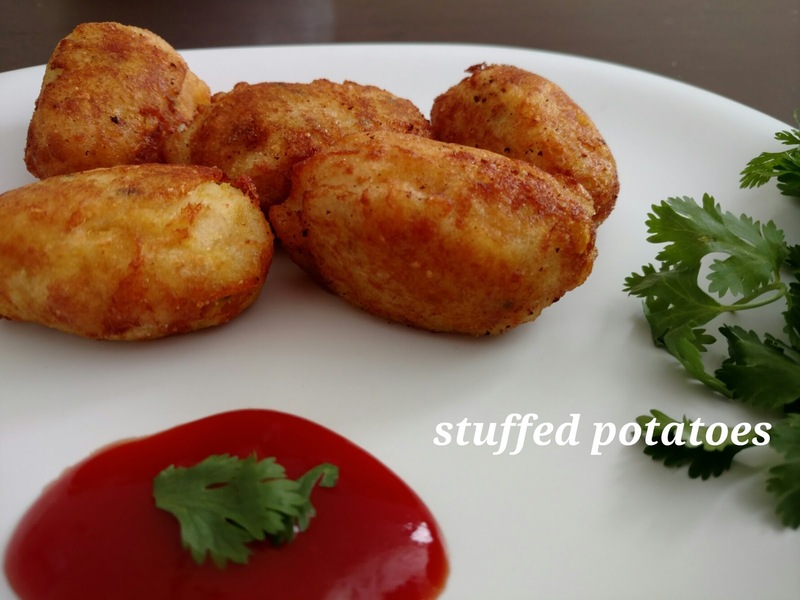 Best evening snack..on a rainy day or winter..I tried this first time.. almost, tasted like potato cutlets.. Potato and onion mixed curry stuffed and coated with left over Dosa batter.. sounds different right..! Well it's something unique in taste too..
Heat oil in a saucepan. Add mustard, allow to splutter, add bengal gram, black gram, green chillies. Fry till light brown, then add curry leaves, turmeric, onions. Fry till the onions becomes translucent. Add boiled and mashed potatoes, coconut, salt and mix well for 5 minutes. Remove from the heat, add lemon juice, coriander leaves and mix well. Allow it to cool. Make small balls and dip them in dosa batter.. deep fry in hot oil.. Serve with ketchup and cup of tea/coffee.